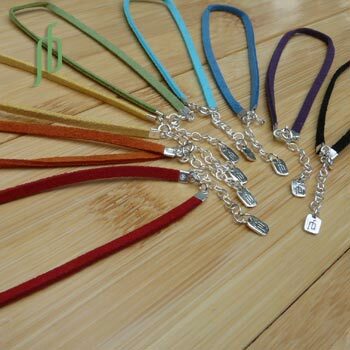 Microfiber vegetarian suede anklets with adjustable silver clasp. Available in 8 colors. Adjustable from 9-10" (22-25 cm). Waxed cotton anklet with 3 strands and silver clasp. Adjustable from 9-10" (22-25 cm).